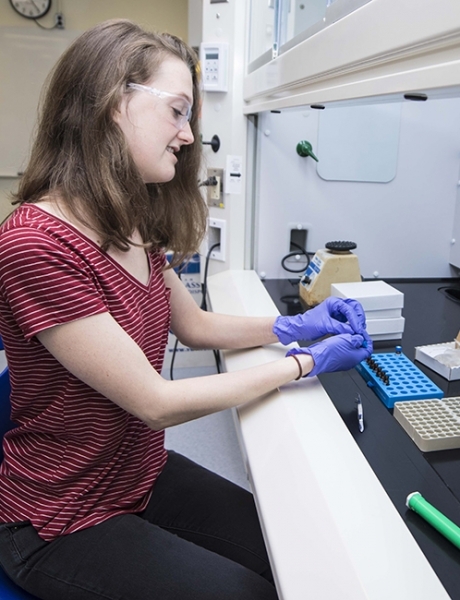 The Department of Chemistry offers the unique opportunity for motivated undergraduate students interested in Chemistry and Biochemistry research to get hands-on training in state-of-the-art research laboratories. Explore the links below to find out more about research labs, opportunities, and funding for undergraduate research. The research groups in the Department of Chemistry where students can inquire about research opportunities. The Research Project course in Chemistry or Biochemistry (CHEM 4710) is a fourth-year course where honours students can join a faculty member’s research group and undertake a research project. The Faculty of Science Co-op program lets students alternate between study and work semesters in industrial, government, or academic settings as part of their degree program.